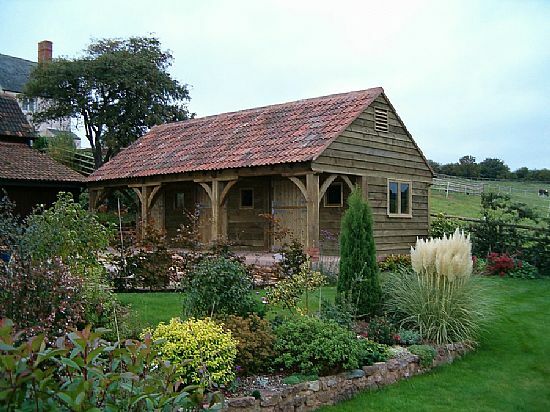 Constructed in the traditional way using oak pegs, curved braces and mortice and tenon joints we supply the highest quality buildings for our discerning clients. If you are looking for a building of great character then we can help you. With 20 years of experience we are specialist craftsmen who exclusively make buildings. Designed using traditional methods incorporating curved braces, stop chamfered posts and oak pegs our buildings will enhance your property. Use of uneven edged board and reclaimed clay tiles add to the period feel. 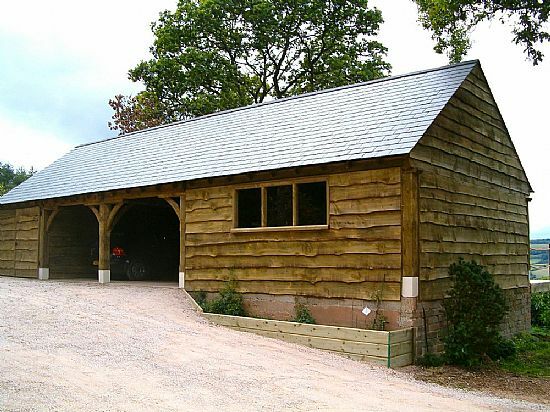 Our garages and Victorian stables are designed to be both attractive and functional. They are some 35% larger than other products on the market with wider and deeper bays and use timber of more substantial dimensions, providing a correctly proportioned structure of generous size. A Barton Building is constructed to the highest standard with great attention to detail and we provide a personal service to give you the utmost confidence during your project. 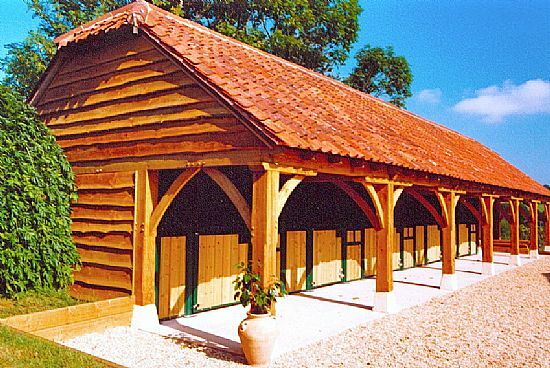 Our stables are manufactured to the most exacting specifications and are galvanised and powder coated for outstanding appearance and durability. The erection of the main frame takes approximately two days whilst the fitting of the main roof timbers and cladding take another one. 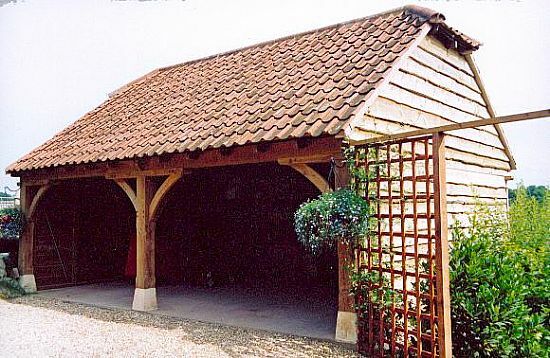 You may choose any type of roof tile to ensure a match with existing buildings. We offer a complete construction service including planning application and building regulations approval. Barton Building offers you great value. If you have a specific design in mind please call us and we would be glad to help. We would be glad to help in any way we can with your project so please do contact us for a first class personal service.